Divya Shilajeet Rasayan Vati removes the harmful toxins and purifies the body. It mainly contains Shilajeet herb which is a natural aphrodisiac and also boosts the immunity of the body. Shilajeet is also best known anti-ageing herb, and prevents premature ageing and keeps body young. Advantages: Divya Shilajeet Rasayan Vati is 100% natural herbal medicine without any side effects. 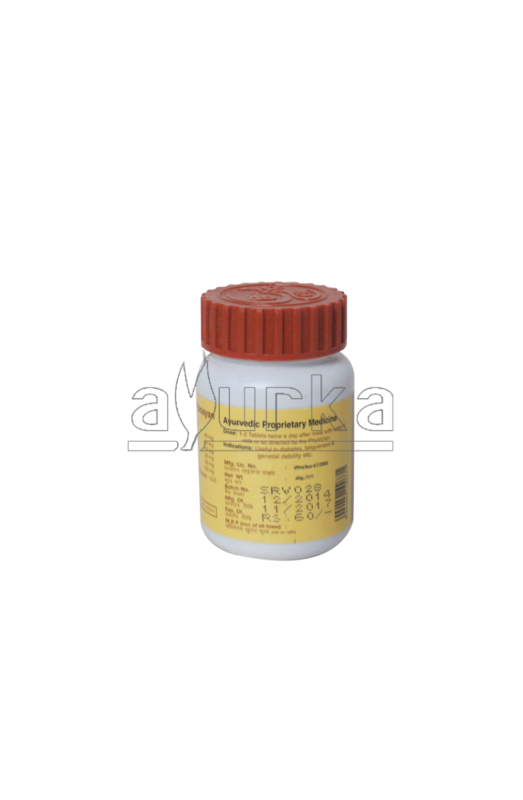 It is used for the treatment of erectile dysfunction in men and other sexual dysfunctions in the male reproductive system. 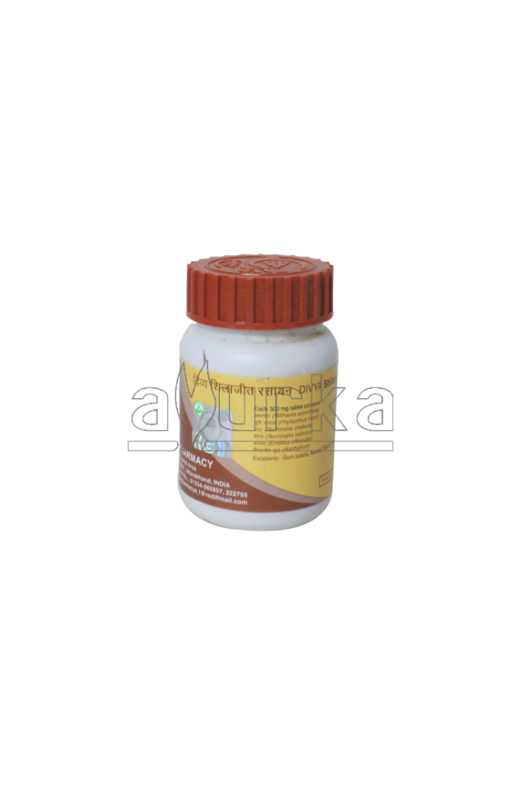 Divya Shilajeet Rasayan also acts as an aphrodisiac and increases the vigour and sexual stamina in men. 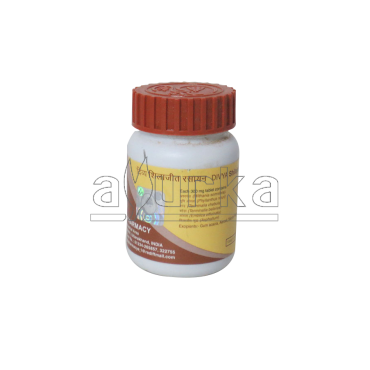 It is excellent for the nervous system diseases of male reproductive organs and urinary system. 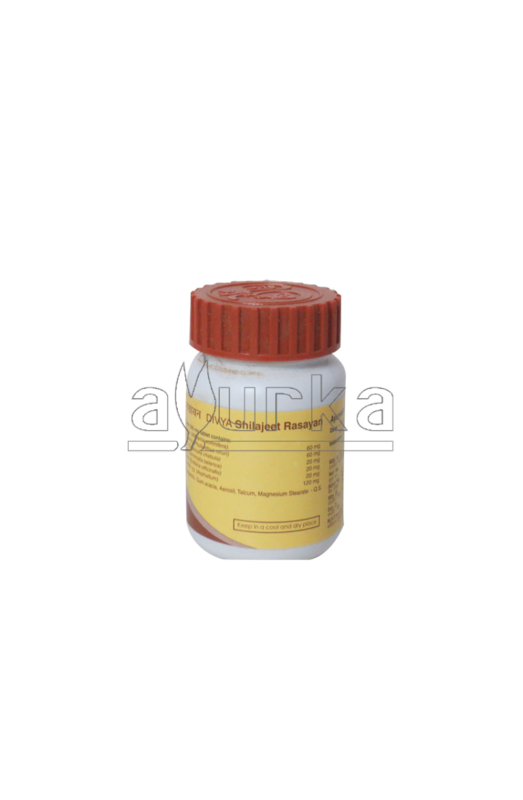 Shilajeet also improves the quality of the sperms treating the male infertility in natural way. Directions of Use: Take one tablet of Divya Shilajeet Rasayan Vati twice a day, before breakfast and dinner with lukewarm water or milk. 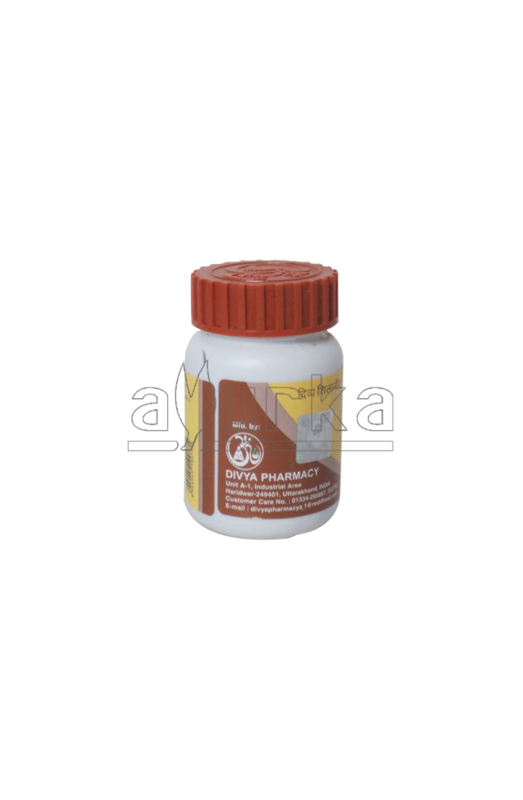 Packing: Divya Shilajeet Rasayan Vati is available in packing of 120 tablets.